Simplify your complex cloud and hybrid data integration with a publish/subscribe hub designed for enterprise data. 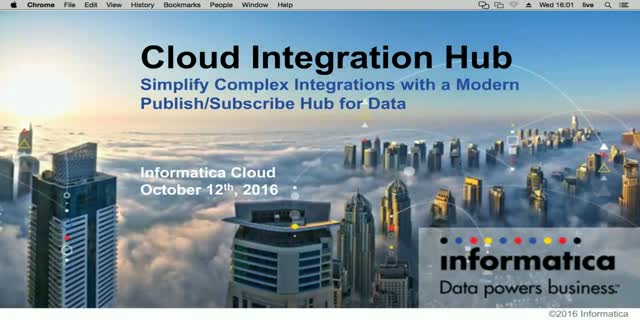 Informatica's popular Integration Hub is now available as a service within Informatica Cloud. Learn how to boost the efficiency of your SaaS, cloud and hybrid data integration with Cloud Integration Hub.